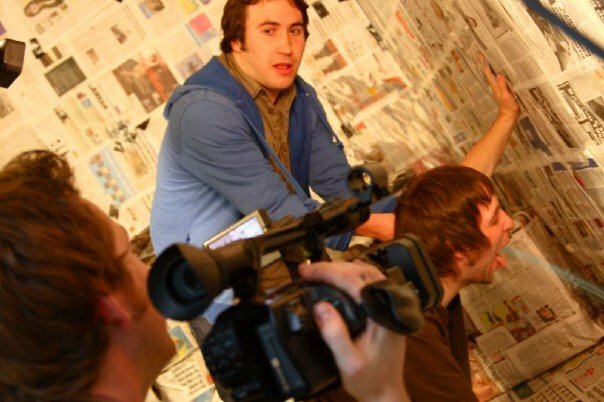 Since graduating from Middlesex University, with a 2:1 honours degree in media and cultural studies, Paul McGhie has spent the past five years developing his skills as an independent film maker. Co founding his own production company with like minded graduates, he has written, produced and directed a series of exciting and original projects that have taught him essential skills and given him a great understanding of what is needed to in order to become a successful part of the film production industry. During his experiences in short independent film making, Paul has worked with many people employed within the TV and Film industry, such as editors, camera and light operators and producers, learning valuable technical skills that have helped him in creating high quality films of his own. These production values have aided Paul in winning commissioned work such as the documentary ‘Shhh!… It’s a Secret’ for The Wallace Collection – one of London’s oldest and most prestigious art collections. Through employment in the marketing and education industries, he has also gained transferable skills in project management, independent research, crew and team management, client communication, as well as creative and copy writing. Paul is now looking to secure a position in TV or Film production where his skill set can immediately aid his employers as well as giving him the industry experience needed to improve and develop these skills. Paul has also begun preliminary work on his first feature project. Click here to follow his progress.